It is with heavy hearts, the family of Thomas Allan Lizotte, loving husband of Emma (Scribner) Lizotte, announces his sudden passing which occurred on Tuesday, February 5, 2019 at the Saint John Regional Hospital. Born in Saint John, NB on November 4, 1945 he was the son of the late Dory and Annie (Burke) Lizotte. 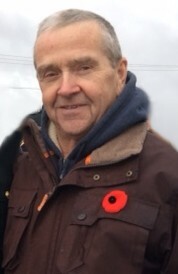 Allan worked as a mechanic for Downey Ford, then as an electrician for the Saint John Dry Dock, retiring from NB Power. He was an avid collector of Hot Wheels, enjoyed his 4 Wheeler and spending time with his family and friends at the cottage on the lake. In addition to his loving and devoted wife Emma, he is survived by his daughter Tabatha Chatterton (Mike); son Tom Lizotte (Lisa); cherished grandchildren Jonathan, Matthew, Caitlyn, Cameron, Amy and William. He is also survived by his brothers Jimmy Lizotte (Candace) and Joey Lizotte (Paulette); sisters Betty Lizotte (Ernestine), Joan McHugh (Paul), Ann Lizotte, Terry McCaskill, Donna Comeau (Don), Debbie Lizotte, Susan Lizotte, Patty Lizotte and Paula Lizotte (Anne); his best friend David Clarke and adopted family Darren Clarke (Sheri); many cousins, nieces, nephews and friends. Resting at Fundy Funeral Home, 230 Westmorland Road, Saint John (646-2424) with visitation on Friday, February 8 from 2 to 4 and 6 to 8 pm. Funeral service will be held from the chapel on Saturday, February 9 at 11 am. Remembrances in memory of Allan may be made to Carcinoid-Neuroendocrine Tumour Society of Canada, Bobby’s Hospice or to the charity of the donor’s choice.